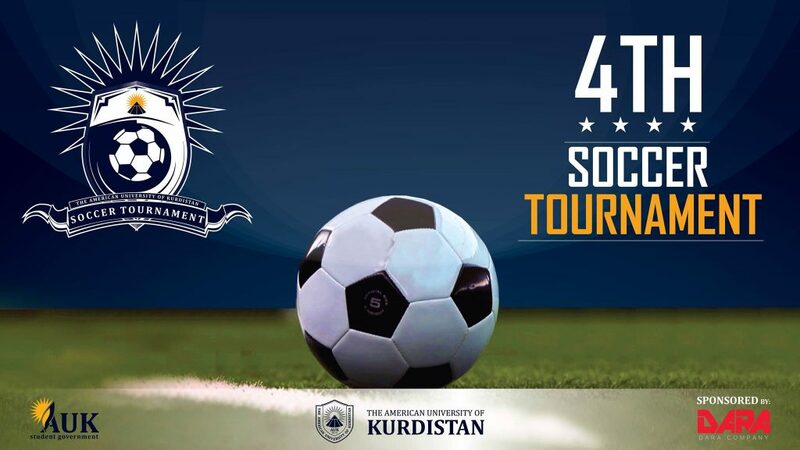 Duhok, Kurdistan Region of Iraq – April 7th, 2019 – The Fourth Soccer Championship tournament was kicked off by AUK’s Student Government, where seven teams battle for the title of champion. The first match kicked off on Saturday, 6th April at 11:00 am between Management “MGMT”, a team consisting of AUK academic and Administrative staff verses “GFY” a team consisting of students. After 60 minutes of playing time, MGMT won 8 – 0; ‘’Scoring eight goals today showed our strength on the pitch and gave our team confidence!’’ said Dr. Khedir Ramadhan, MGMT’s center forward player and AUK Faculty member. AUK’s Soccer Tournament is a replica of the soccer league where all nine teams play against each other and the four teams with the highest number of points will progress to the playoff stage which is the semifinal and final game. The final soccer match shall be held on 22nd April 2019 and a special ceremony will take place in celebration of the winning team.